Most flutists begin on a rented flute. Renting allows switching instruments at minimal expense. Beginning flutists usually stay with the flute but a few switch to another instrument. 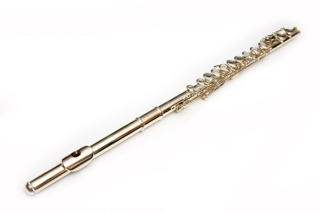 The rental flute takes the initial wear-and-tear of learning how to handle and care for a flute. Amro's Maintenance & Replacement plan keeps the flute playing well and replaces it if it's lost or stolen. Renting allows time to see how serious the student will be and to determine what kind of flute is right for the longer term. 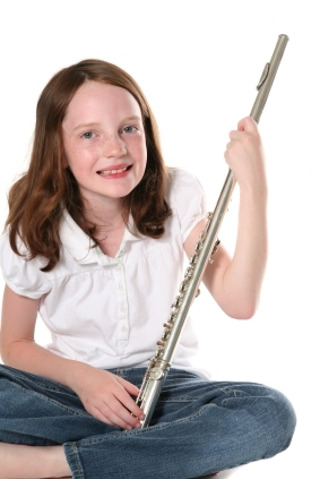 Flute players usually move up from the beginner flute to an intermediate or performer flute. It takes a little playing experience to know which options are right for the player. A portion of the rent paid can be applied to the purchase of a flute. Renting a flute is simple and inexpensive with rent as little as $21 per month. You may continue renting for as long as you like or you may return it to Amro at your convenience. The lesson book and accessories that your band director selected and you'll need to get started. Service at your school. Amro's educational representatives visit your school regularly to make sure instruments are working properly and everyone has what they need to learn. Priority repairs by the largest fully-staffed on-site repair facility in the Mid-South. The option to change instruments. The option to step up and apply a portion of your rent to another instrument. An instrument that is played, adjusted, and double-checked by professional technicians and is certified appropriate to learn on. No long-term commitment or obligation to buy. There's a reason that more people rent their instruments from Amro than all the other Mid-South stores combined. Do you still have questions about renting? Click for some FAQs about renting an instrument. Or give us a call at (901) 323-8888 or email us here.